Occasionally we’ll get a call from someone who has broken the screens on both their iPhone AND iPad. This is what happened to Dan last week in Dubai. Most of the time, the breaks happen on separate days, but for Dan it happened in the same afternoon. He was doing some work at an outdoor cafe and had his iPhone sitting on the table and his iPad in his bag, which was also on the table. A quick nudge of the elbow and his iPhone went crashing down to the cement floor, smashing the front screen of his iPhone 4S. It has shattered and there was glass all over the ground. He had never seen what a broken iPhone screen had looked like, although he had heard about it. He knew he would have to get it replaced rather than paying a fortune for another one. After another hour or so of work, when he was ready to leave, Dan got up from his chair and watched his newly-purchased iPad 3 take a tumble to the ground too. 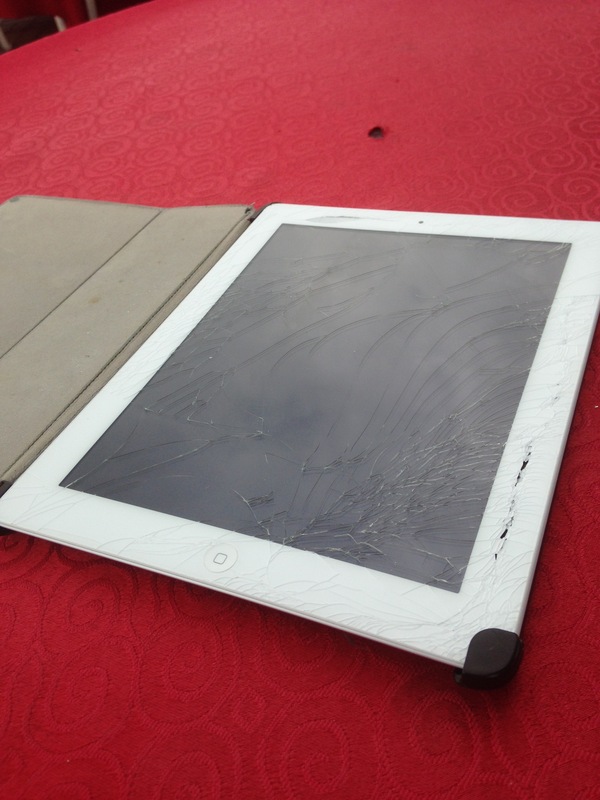 Within an hour, Dan had managed to cracked his iPad 3 screen and his iPhone 4S screen. This was one saddened soul. After regaining his sanity, he went looking online for a company that repairs or replaces iPhone and iPad screens in Dubai. He found us after giving a few other services a look and was happy to get on the phone with us after calling. We set up a time to meet him at his home in Dubai Marina. In about an hour and a half we had both of his screens back to normal. Sorry for the tough day, Dan. Glad we could help you out though.